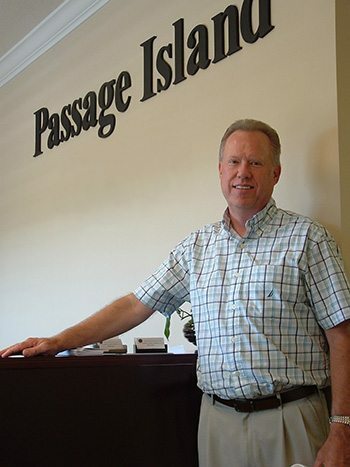 Why Choose Passage Island as Your New Home Builder? As a new home builder, Passage Island Construction is committed to providing exceptional value, quality, and customer service. We have spent over 40 years building new homes and have a sterling reputation as one of the most trusted homebuilders in the area. We have had the pleasure of building in many of the distinctive communities in Vero Beach, Sebastian, Melbourne, Fort Pierce, and Port St. Lucie in addition to the Northeast, where we started out. We are continually improving our home designs so that we can offer buyers the very best in style, functionality, and quality. Our first priority is always to provide the very best customer service from the moment you begin the design process until well after move-in day. Our team strives to provide nothing less than a superior home building experience. Our company is based on honesty and integrity and we recognize that our customer’s needs and wishes come first. As a result, a high percentage of our business is from repeat customers and their referrals. Over the years, Passage Island Construction has amassed an eclectic portfolio of floor plans, having designed and built a multitude of custom homes. For those clients who choose to start from scratch, Passage Island will seat you with our in-house draftsperson and create a plan to meet all of your specifications and needs, many of which may be based on your stage of life. We offer plans for the first home, move-up home, or a multigenerational home to accommodate your ever-changing family needs. We will either have a plan or we will create a plan to exceed your expectations. Making design changes, while keeping the house within budget and completed in a timely fashion, is right up our alley. Building a new home can be a time consuming endeavor; however, with our knowledge and experience, we can make your new home building process as simple and as stress-free as possible. We will individualize your new home from room to room, perhaps extending a wall and enlarging a room, creating the kitchen just the way you have always wanted, choosing bathroom tiles and sizing rooms to fit your existing furniture. That is where our long time staff member, Peter Buza, comes in. He works with the new home buyer to customize their home, from what style/color roof they would like right on down to the flooring of their choice – and everything in between. Besides meeting with clients during regular business hours, evening hours can be scheduled to accommodate the client’s needs. Meetings are held in the Passage Island sales center, construction office, and many times in the client’s office or home. Passage Island is building new homes for their clients in Melbourne, Palm Bay, Sebastian, Vero Beach, and Ft. Pierce. Another key advantage to choosing Passage Island Construction is that we have the flexibility in location to build your new home. Whether that is on land that you already own, a single lot, or on a home site in just about any subdivision you would like. If you need help finding the perfect home site to build on, we can help you there as well. We work with a network of area realtors and can pair you with the one that is best suited to achieve your goals. Bottom line – we want to work with you to help you build the new home of your dreams, and we have all of the tools necessary at our disposal. We know that your home is your safe-haven. It’s where you will create life-long memories, experience life events, welcome home your kids from college and meet your first grandchild. Our commitment to quality ensures that you can enjoy every moment – big or small – without the added worry of issues many new homeowners may face. In February 2006 there was an abundance of new construction to choose from. We looked everywhere in Vero Beach. Passage Island Construction took our breath away with its lower pricing and more upgrades that were standard. We couldn’t believe our luck and still thank God for putting them in our path. I looked at the ‘eye candy’ and my husband looked at the construction every step of the way, they surpassed our expectations—not only in materials/construction, but with personal service and authentic caring. We chose to build in Serenoa and moved in February 2007. I am still amazed at the craftsmanship and solidness of my home. You will never find a better builder! They handled any concerns we had immediately and were always there. Brian and Jim Adams were very instrumental in developing our community and handled every aspect with our interest always first. In 2016, my husband and I began to consider selling our large house and downsizing to a smaller home. Our last child would be graduating soon and we certainly wouldn’t need a 3400 sq. foot home! Our current home is a custom built home. When we built, we were able to choose everything…the floor plan, the cabinetry, the flooring, lighting, hardware, etc. I wanted that same experience again! We began looking and eventually walked into the Passage Island Model. We met Phyllis and Judy and immediately fell in love with the floor plan and the quality of work! I am a “detail” person and my husband has worked in the construction industry in the past. Our expectations were high! Passage Island Construction has met and exceeded them! We love our new home! It is a reflection of us! We are grateful to Passage Island for working with us and putting our vision together in a beautiful way! We highly recommend Passage Island Construction! What separates the best from the rest, is how they respond and take care of any problems that arise. Passage Island Construction not only took care of each and every problem that arose, and it was only a few, they went the extra mile and did a little more on each item. The construction was completed around the time frame they said and with very few problems. This is my first time to build a house and be on that side of the deal. I was a commercial builder for small offices, shops, and warehouses for 10 years. I was always on the side of catching the complaints. This was my first time to administer the complaints and I can truthfully say, I did not have many things to complain about. Passage Island Construction is a first class builder and an expert in customer satisfaction. I highly recommend them to anyone who wants to build a home. Thank you to all of you who helped bring our dream home together! Building a home is bitter-sweet and lots of patience is needed. We are so happy and pleased with the outcome. Passage Island did an awesome job We have a very beautiful home and will always remember the past 4 months of watching it come to life. We look forward to many years ahead. A big thank you for a beautiful home you built for us. Thank you for all you did to help us.